we made several different types of christmas cookies this year. 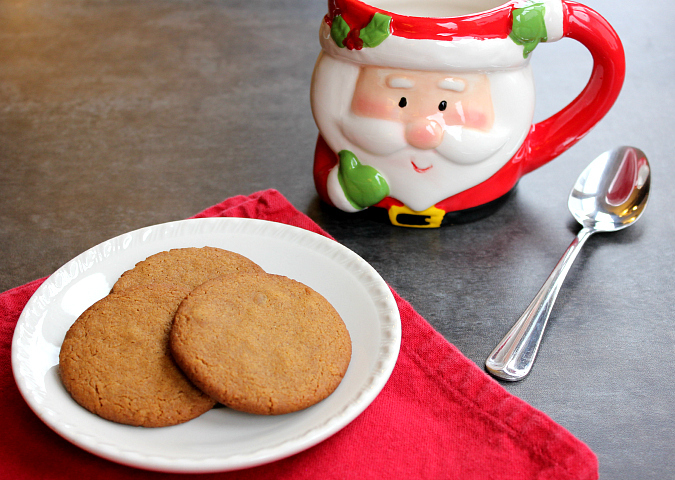 one of the batches that we made was double gingersnap cookies. we absolutely love ginger and we are huge gingersnap fans. the more ginger the better! these cookies have ground ginger in them along with chunks of crystallized candied ginger throughout them for double the ginger punch! the ginger gives them a great zing and the molasses gives them a deep rich flavor. they are just so good! 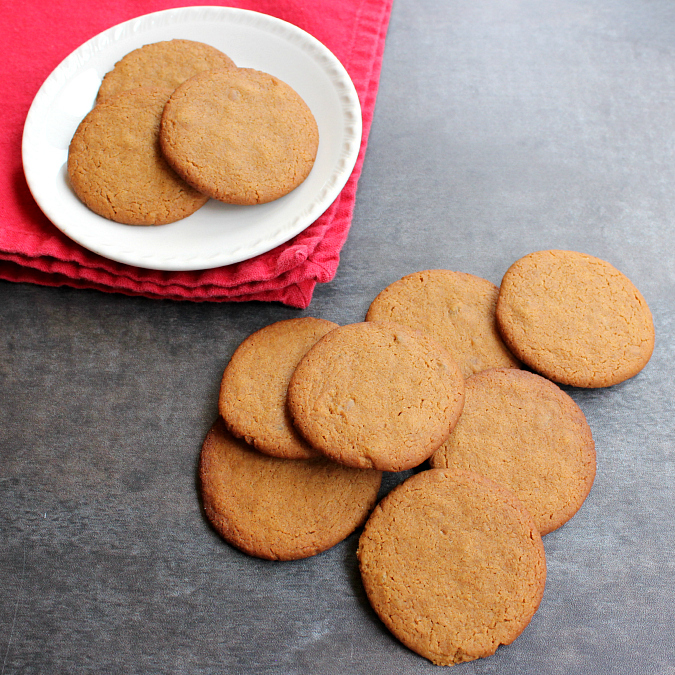 they certainly live up to their name of ginger "snaps" because they are nice a hard, just like a gingersnap should be. preheat your oven to 375 degrees F and line a baking sheet with parchment paper. cream the butter in the bowl of an electric stand mixer fitted with a paddle attachment. add the sugar and beat well until light and fluffy (about 3 minutes). mix in the molasses. in a separate bowl, sift together the flour, baking soda, and spices. add the dry ingredients all at once to the wet ingredients. mix until combined. fold in the crystallized ginger. scoop 1 teaspoon sized balls of dough and roll them between your hands to make balls. place the balls of cookie dough onto the cookie sheet. flatten each ball gently with the bottom of a drinking glass. bake for 8-10 minutes, until they are golden. once baked, allow the cookies to cool on the baking sheet for 5-10 minutes before transferring them to a wire rack to finish cooling completely. I really like the taste of these cookies and the extra flavor with the crystallized ginger. I think yours were better than the ones we like from our favorite store.